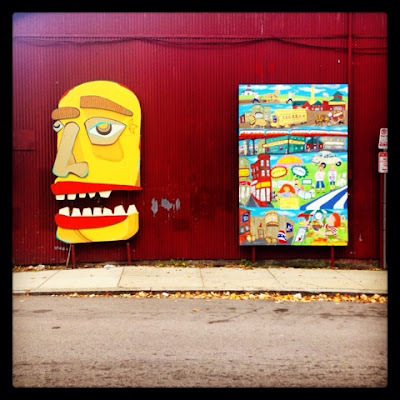 This strreet art is on Boylston St side of the Brewery Complex. It's kind of a hybrid sculpture and mural. Love the bright colors. If you ever take a trip to Sam Adams, take a walk around the area. There's lots of cute things around the neighborhoo, including this art! If you've ever been to Boston, you may have noticed there's quite of a lot of purposeful street art. There are murals on wall as part of the Mayor's Mural Crew project. And art is often painted onto utility boxes on the sidewalk. I love the art for the people! View the complete collection of Murals of Boston on Vintage Bridge.